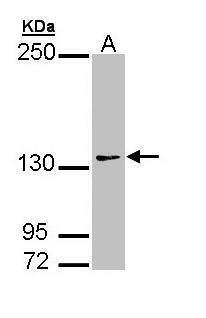 Sample (30 ug of whole cell lysate). . A:NIH-3T3. 5% SDS PAGE. . TA308083 diluted at 1:1000.